The Netflix documentary series, ‘Drive to Survive,’ provides a backstage view of Formula 1 that humanises the sport – in stark contrast to the carefully crafted corporate image of F1, which is a much-needed change. 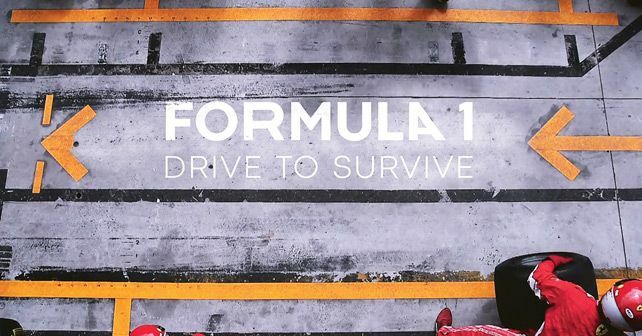 The Formula 1 paddock in Australia was buzzing with enthusiasm for the recently-released 10-part Netflix documentary series called ‘Drive to Survive.’ If you haven’t seen it, make sure you do – even if you’re not a particular fan of Grand Prix racing. It’s the best ‘television’ I’ve seen in 32 years of covering Formula 1 and it’ll bring tens of thousands of new fans to the sport. The series, made by the production company Box to Box Films, has been produced by James Gay-Rees. The deal was put together last year by the Formula One group with all the teams, except Ferrari and Mercedes who didn’t agree to be involved – and to share in the revenues that the show produces. This meant that the film crews had unparalleled and exclusive access to the teams and drivers, and so were able to produce an engaging fly-on-the-wall series that has already been a great success – largely because it’s succeeded in humanising the sport and creating interest from people who previously had no interest at all in F1. It is, by far, the best thing that Liberty Media has done in the last couple of years as it seeks to increase the number of passionate followers of F1. One of the biggest problems in the sport for many years has been the tendency to stifle F1’s many characters on the basis that corporate communication is the best idea. This is a big mistake and has led to a culture of people who are stiff and uncommunicative with the media, rather than being honest and open – and thus being much more engaging for the media and for the fans. This has started to change with some teams, notably Red Bull Racing, Mercedes and Haas, but there is still much to be done to make the sport more inclusive and to get rid of the daft idea that exclusivity is the way to go. Limits have to be there, of course, because if you open up F1 too much, then it’ll be difficult for those taking part and will also drive away celebrities and big business types who like to be seen at races. It’s a balance, but giving access via film is a good compromise. The Drive to Survive series is a big step in the right direction, as it engages and intrigues. The problem with Netflix is that the organisation doesn’t publish figures about how many of its subscribers are watching specific programmes. This is a deliberate policy, as it means that the company has more leverage when it comes to financial negotiations. It is possible – to some extent – to gauge the kind of impact a show is having from the social media that is being generated. Netflix has 140 million subscribers in 190 markets around the world and generated annual revenues in 2018 of $15.8 billion, a 35% hike compared to 2017. The company has been investing heavily in content, with $12 billion spent on content last year and another $15 billion to be invested this year. Thus, it has the potential to be a major source of revenue for the Formula One group, and therefore for the F1 teams as well. The Formula One group is slowing building up its own streaming service, called F1 TV Plus, but there’s no reason why there cannot be further collaborations in the future, including Netflix using shows created by the Formula 1 group from its own huge film and video archive. There is also the possibility, in the longer term, that streaming services such as Netflix could acquire the rights to show the races, which given F1’s massive global reach and impressive audience figures must be of interest to the various competing streaming services. Around half of Netflix’s audience is in the United States of America, which is a key target market for Formula 1 in the years ahead, so the sport and the streaming company have complimentary goals – with Netflix wanting to expand globally, where F1 is strong, and F1 wanting to build up it's following in the United States, where Netflix is big. The best thing about the series is that it is repeatable – and can run-and-run. F1 is never short of storylines from one year to the next, and if the characters are allowed to breathe, they can show themselves a little more. By the looks of it, however, the first series has been a big success, and the Netflix film crews were in action again in Melbourne, filming for a 2019 second series – although at the moment no deal has been confirmed for a second series. The cameras, nevertheless, were paying particular attention to Robert Kubica and Williams, and there’s no doubt that this is going to a great storyline one way or the other. If he succeeds, it’s a great story and if he fails the poignancy will make for a good show as well. Long may this continue and we can only hope that there’ll be other initiatives to take fans behind the scenes more, as it all helps the sport to grow. Joe Saward has been covering Formula 1 full-time for 30 years. He has not missed a race since 1988.